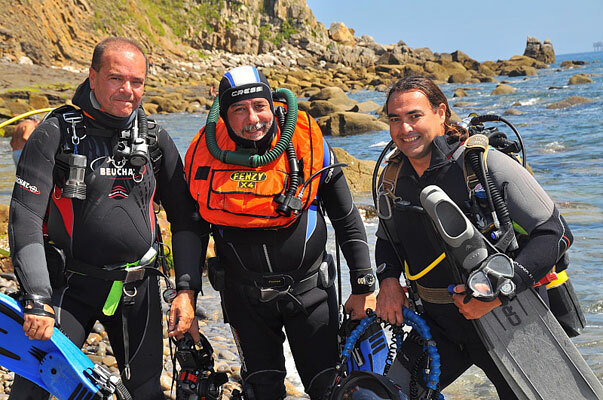 Enrique Dauner with friends Maixi Uribarri (left) & Carlos Villoch (right) diving on the north coast of Spain, near Bilbao. 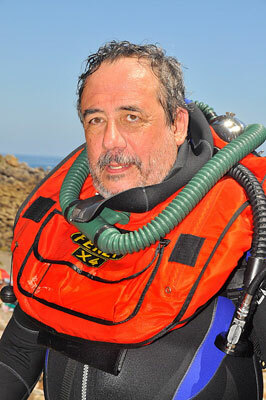 Enrique shown here with his Nikonos RS camera. 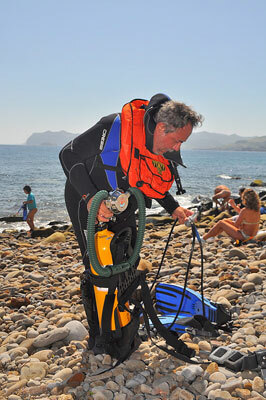 Enrique is the vice president of the HDS in Spain. 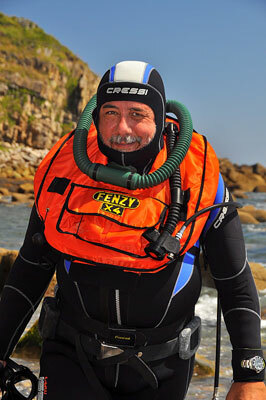 He dives with a Fenzy horsecollar BC and a Nemrod Snark III. 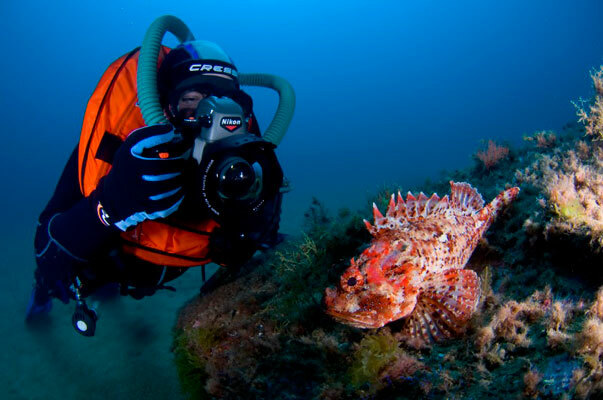 Surface photos are courtesy of Maite Uribarri. 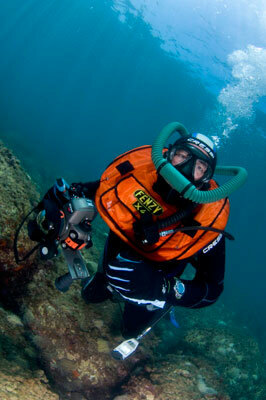 Underwater photos taken by Carlos Villoch. 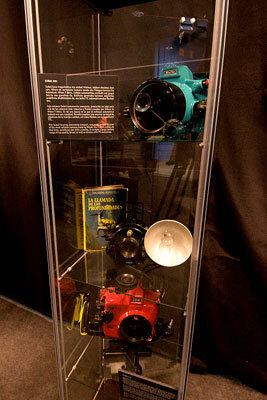 Part of Enrique's camera collection. 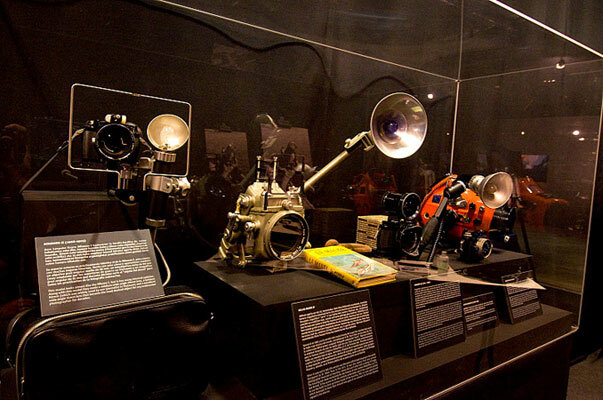 This is part of his extensive underwater camera and housing collection including a Rollei Marin housing that was a present from Hans Hass himself. His signature inside reads "To my friend Enrique. Hans Hass".